When it comes to beauty and household products, the terms “cruelty-free” and “low-priced” don’t usually mix. An increasing number of beauty and household product brands choose not to test their products on animals. But most of these brands are small and can’t compete with the low prices of larger competitors, many of which do test on animals. While it’s a great idea to support small companies, many consumers simply can’t afford a $25, 10-ounce bottle of shampoo, or even a tiny $5 bottle of liquid hand soap. Fortunately, a few companies offer both low prices and animal-friendly practices. Here are five companies — and two alternative shopping methods — that help you buy cruelty-free without breaking the bank. Plus, check out this list of 100 places to find coupons to save even more money! You may recognize this household product brand from its quirky television commercials and stylish packaging, but Method is also known for its commitment to environmental sustainability and conscious practices. In 2015, Method opened the nation’s first LEED platinum-certified soap factory in Chicago. It also helped found the B Corps socially responsible business model. Method products are never tested on animals, contain no animal ingredients, are non-toxic and biodegradable. They’re also affordable and widely available. Prices rival those of mainstream brands, including a $3.25, 28-ounce bathroom cleaner, 36-ounce hand soap refill for $3.99 and 45-tab dishwasher detergent for just $11.39. To find the lowest prices, your best bet is buying Method products online, though you can also find them in Target, Lowe’s and many supermarkets. If you know what to look for, you can get some great deals at Trader Joe’s, particularly on store-brand household and beauty products, which are never tested on animals. Like Method, Trader Joe’s focuses on using sustainable and non-toxic ingredients that are safe for people and pets. If you’re vegan, you may want to check ingredient labels for honey and beeswax, but many products contain no animal ingredients. My go-to Trader Joe’s products include $2.99 all-natural toothpaste, 128-ounce laundry detergent for $9.99 and 25-ounce dish soap, available in tea tree lavender and mandarin orange, also for $2.99. They also offer a Tea Tree Tingle line of bath and body products priced at $3.99 for 16-ounce bottles, and a 16-ounce citrus body wash for $2.50. My bathroom cabinet is filled with colorful bottles from this under-the-radar brand, which exclusively sells paraben-free gel and cream body washes. Body Essence products are not tested on animals and contain no animal ingredients — with the exception of honey in one gel wash.
Plus, the body washes are super moisturizing and come in great scents like coconut and vanilla shea butter. If you can believe it, a 28-ounce bottle runs at just $3.47 online or in-store at Walmart. You can also find them at many pharmacies. Sold under several different lines, Freeman Beauty products range from papaya-scented shampoo to anti-aging serums, and all are reasonably priced and cruelty-free. Frugal shoppers should check out Freeman’s Papaya line of $2.99 shampoos and conditioners. They contain natural ingredients — like papaya extract, herbs and acai oil for moisture. To treat yourself, try their $3.79 bare foot, “spa-inspired” foot care products, $4.29 Feeling Beautiful facial masques and Eclos line of $7.99 corrective serums. Freeman products are sold at Bed, Bath & Beyond, the Christmas Tree Shop and many supermarkets. You can also shop their website, which often runs great clearance sales. When some of my less thrifty friends head to Sephora, you’ll find me browsing retail store shelves for e.l.f Cosmetics. 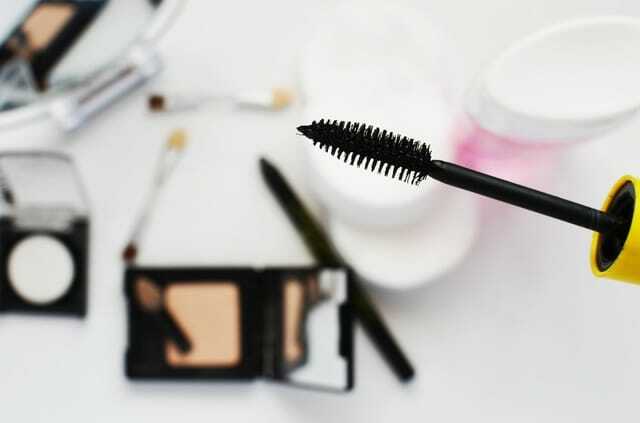 This budget-friendly line of makeup launched in 2004 and has since skyrocketed to international success, thanks to its low-priced and well-reviewed products. The company’s line includes lipstick, eyeshadow, concealer and blush for $1 — and lip and eyeshadow palettes for under $10. Along with its commitment to keeping prices low, e.l.f. is 100% cruelty-free. E.l.f. products are available in several stores — including Walmart, Target, and most pharmacies — as well as on the company’s website. Savvy online shoppers can also take advantage of promotions such as free shipping and bonus items. Make your own household and beauty products — it’s easier, and cheaper, than you might think. It also allows you to control what ingredients go into your products and ensure they’re cruelty-free. For example, you can make a great general cleaner using vinegar, baking soda, rubbing alcohol, lemon, water and a few drops of dish soap. If you’re serious about going DIY, invest in some essential oils. Just a few drops will add not only a lovely scent, but also important antibacterial and antiseptic properties to your products. Your Turn: Will you try any of these brands or ways to get cruelty-free products? Jennifer Wyglinski is a freelance writer and marketing consultant specializing in green lifestyle and vegan topics.